SalesCandy™ will go live on the Equity Crowdfunding platform pitchIN’s website on August 8th, 2017 to raise RM 1.5 million. The pre-marketing for this crowdfunding exercise has already begun. The SalesCandy™ team has diligently pitched to potential investors at three separate events and private sessions over the past two weeks. A private event with family, friends, and close relations organised by the SalesCandy™ team was held at SalesCandy’s office in Menara PJX on Friday July 7th. While pitchIN organised a private issuer preview event on Friday July 14th and a public issuer preview event on Saturday July 15th for more potential investors. 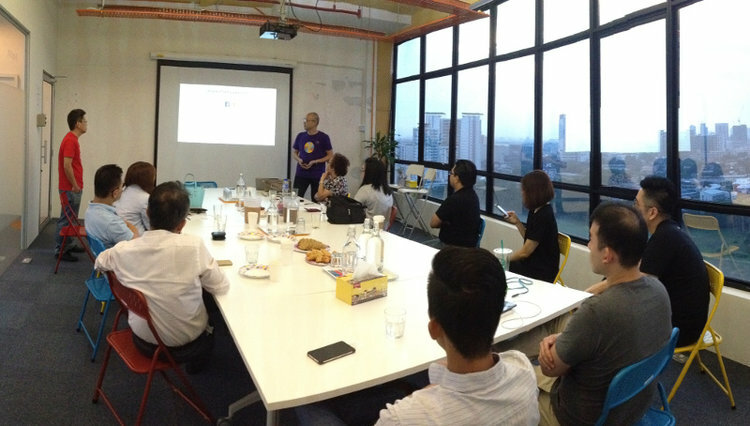 Both events were held at WORQ, a co-working space in Glo Damansara. At the start of the events, pitchIN host Sam gave an introduction about pitchIN and the companies that have successfully raised funds within 30 days through the ECF platform. Founders Stanley Chee and Jeff Chan at the Private Issuer Preview on Friday, July 14th. There were four other startups pitching to raise funds at the two events organised by pitchIN. Founders Stanley Chee and Jeff Chan at the Public Issuer Preview on Saturday, July 15th. In the 5 to 10-minute pitch, founders Stanley Chee and Jeff Chan gave a presentation of SalesCandy’s founding story, app features, sales projections, market size, prospectus, etc. to an estimated crowd of 40 on Friday and 75 on Saturday. 16 investors have pledged more than RM 450,000 of investment to-date, which is 45% of our minimum fundraising target. SalesCandy is also a certified Angel Tax Incentive Investee Company. Update October 5th, 2017: SalesCandy has successfully raised the total target amount of RM1.5 million from 48 investors through the pitchIN Equity Crowdfunding platform.